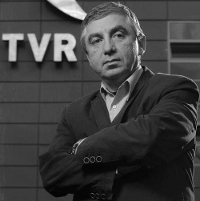 Alexandru Lazescu founded the national network of local newspapers “Monitorul” in 1991. He is a former Chief Executive Officer or SRTV (Societatea Romana de Televiziune – The Romanian Society of Television), president of the Editorial Board of “Ziarul de Iasi (Iasi Newspaper)”, author of several assessments on political and economic problems for “BBC” Radio, TVR (Romanian National Television), N24, Realitatea TV (Reality TV). Moreover, he teaches “Mass-media marketing” and “Media institution management” and courses at a Master’s degree level for the Faculty of Journalism at “Alexandru Ioan Cuza” University of Iasi. Also, he is a media expert for the Media Relations project of the European Commission’s Delegation in Romania and for projects undertaken by the World Bank in Romania. In addition, he is the president of “eRomania Gateway” association, member on the board of directors of the organization “Transparency international” – Romanian Chapter. Mr. Lazescu is a former member of the board of directors of FDSC (2000-2004), foundation that manages European Union projects regarding Democracy/Civil Society (PHARE). He is also a founding member and a member on the board of directors of some important professional organizations such as BRAT (auditing the printing of Romanian publications) and ARCA. In addition, he is a member in international organizations pertaining to the field: International Newspapers Marketing Association, WAN-FIEJ-World Association of Newspapers, IPI – International Press Institute, IAA – International Advertising Association.